As it reported better than expected earnings this week, American Airlines told investors it would likely raise fares to offset higher fuel costs. American CEO Doug Parker said jet fuel costs rose more than 20 percent last year, to $5 billion. "Fares are too low for oil prices this high," Parker told airline industry analysts. "Over time, you'll see adjustments. It takes time." Consumers with long memories may recall that American and most other airlines instituted fees for checked bags and other once complimentary perks after 2008 to compensate for rising fuel costs. However, they didn't drop the fees once fuel prices began to go down in 2015. If the trend is gradually rising airfares in 2018, consumers will have to work harder to find bargain fares. CheapOAir.com, a budget airfare marketplace, says retirees may be best equipped to handle the new air travel economy because they usually have more flexibility in their plans. Avoiding a destination's busiest season is the best way to find a bargain. 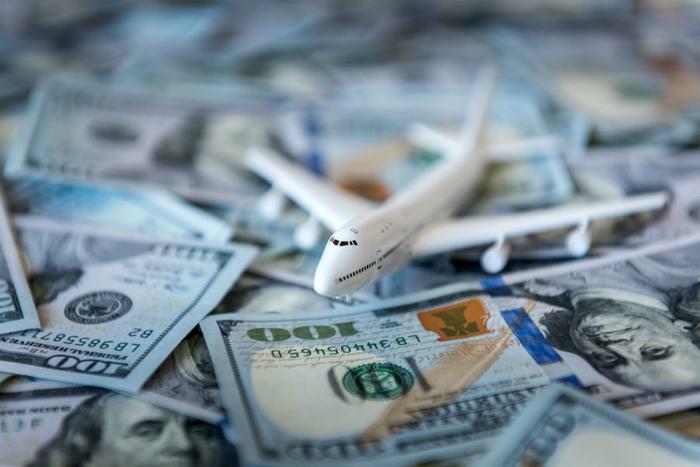 By doing some research in advance, you can potentially save a lot of money by knowing when the airlines, hotels, and rental car companies are most in need of business. In 2017, the company says international destinations most popular with seniors and retirees saw the biggest differential in airfare between the slowest and busiest times. Consumers who traveled from the U.S. to China in September instead of June saved an average of 37 percent on airfare. Those who traveled to Spain last February instead of last June shaved 36% off their fares. Going to Australia in August, when winter is ending in the Southern Hemisphere, saved 29 percent over those who traveled in December, when summer was just beginning down under. Signing up for a good travel credit card is another way to make airfare more affordable by taking advantage of the different types of perks they might offer. The co-branded CheapOair credit card by Synchrony Financial offers customers access to an enhanced loyalty program and includes a special financing offer to help manage the cost of travel. The Capital One Venture Card provides a one-time bonus of 50,000 miles if you spend $3,000 on purchases within three months from the account's opening. That's equal to $500 in travel. The Chase Ink Business Preferred Card carries 80,000 bonus points if you spend $5,000 on purchases during the first three months of account activity. That's worth $1,000 toward travel when you redeem through Chase Ultimate Rewards. CheapOAir advises consumers to carefully research fares before booking. The company says airlines now charge extra for everything from checked luggage to seat selection. In most cases, you'll find those charges in the fine print, not in the base fare.